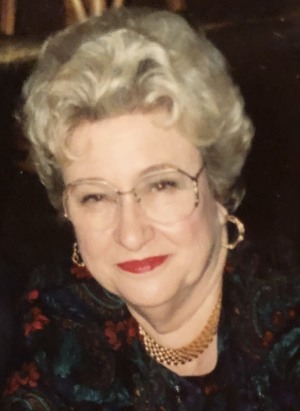 Walthourville – Mary Ardith Herbert, 84, passed away Tuesday, August 28, 2018 at her home. She was born in Daisy and had lived most of her life in Liberty County. She was retired as Postmaster from the US Post Office in Walthourville. In 1974 the city of Walthourville received its charter and Ardith was elected as one of the original members of the all-woman city council. She was a lifelong member of Walthourville Baptist Church and preceded in death by her husband of 51 years, Westell Herbert. Survivors are her daughter and son-in-law, Dianne and Robbie Murray of Ludowici; son and daughter-in-law, Greg and Gina Herbert of Ludowici; sister, Gerry Dillon of Savannah; sister-in-law, Molene Burke of Walthourville; granddaughter, Kiely Walker; great-grandchildren, Anthony Walker and Victoria Walker all of Brunswick; two special nieces, Glenda and Gloria. Funeral services will be Thursday, August 30 at 11 AM at Walthourville Baptist Church with Rev. John Brown officiating. Visitation will be one hour prior to services at the church. Burial will follow in Hinesville Cemetery. Remembrances are suggested to Walthourville Baptist Church, P.O. Box B, Walthourville, GA 31333-0902. Howard Funeral Home of Ludowici is in charge of the arrangements.